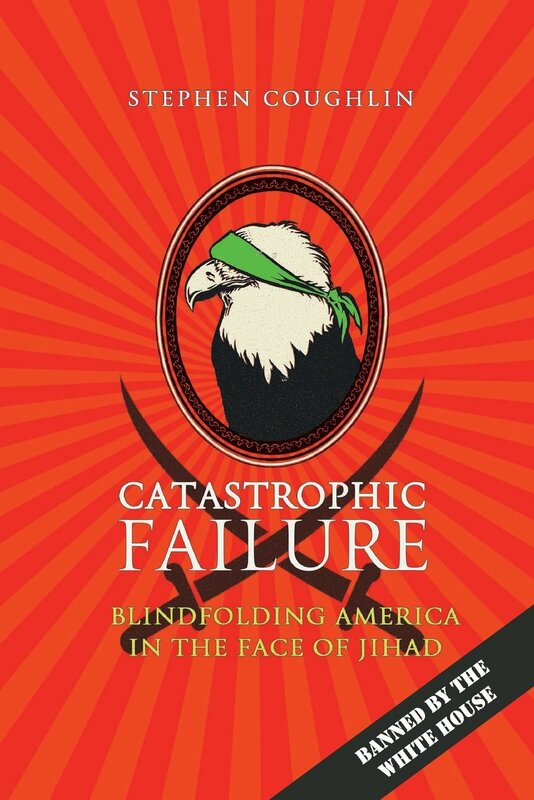 Introduction Chapter to "Catastrophic Failure"
I did not set out in life to be a student of jihad and Islamic-based terrorism. In the fall of 2001, I was a reserve officer in the United States Army, called to active duty from the private sector due to the events of September 11. My posting was to the Joint Chiefs of Staff Intelligence Directorate (JS-J2). As I watched America respond to events across the world, I noticed with alarm that decisionmaking seemed to be increasingly less focused on the threat as it presented itself and more on the narratives that reduced the threat to a nameless abstraction. As a mobilized officer brought into the heart of the strategic intelligence world, I knew there would be a large learning curve involved in formulating the threat doctrine of an enemy that had brought down the Twin Towers in the name of Islam and according to Islamic law. I made a point of going to the source. I found actual books of Islamic law. I read them and found they could be mapped, with repeatable precision, to the stated doctrines and information that groups like al-Qaeda and the Muslim Brotherhood disclosed about themselves and used when speaking to each other. My analysis helped me develop a threat doctrine, an understanding of the enemy as he understands himself unconstrained by the influences of the environment – Sun Tzu’s “Know your enemy.” That threat analysis was in line with all the standard doctrines on threat development I had been taught when I learned to do intelligence analysis. Because the declared enemy stated that his fighting doctrine was based on the Islamic law of jihad, Islamic law had to be incorporated into any competent threat analysis. When assessing al-Qaeda in light of the jihad doctrines that the group’s members actually cite, I came to realize that such doctrines did exist, they are generally cited properly, and that al-Qaeda made plausible claims to be actually following those doctrines. In legal parlance, al-Qaeda’s claims to be operating in accordance with mainstream Islamic law could at least survive summary judgment. By the same token, any analysis of al-Qaeda that failed to account for such a self-disclosed component of an identified threat doctrine could not be competent. I assumed everyone with whom I worked in the intelligence directorate was aware of the most basic aspects of intelligence, such as threat identification. I had entered the Intelligence Directorate adhering to the traditional methods of analysis. Soon, however, I discovered that within the division there seemed to be a preference for political correctness over accuracy and for models that were generated not by what the enemy said he was, but on what academics and “cultural advisors” said the enemy needed to be, based on contrived social science theories. It seemed the enemy was aware of this as well. Forces hostile to the United States in the War on Terror appeared to have successfully calculated that they could win the war by convincing our national security leaders of the immorality of studying and knowing the enemy. It is not our fault that the threat we face identifies its doctrine along Islamic lines, but it is our fault that we refuse to look at that doctrine simply because our enemy wishes to blind us to its strategic design. 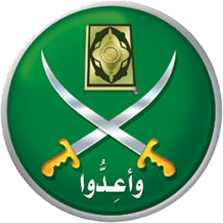 Some time ago, I had an opportunity to analyze the Muslim Brotherhood in North America’s strategic documents, which were entered into evidence in a federal terrorism trial. In those documents, the Muslim Brotherhood explicitly states its designs for “civilization-jihad” and its intent to sabotage America by getting us to do the job for them. This doctrine of subversion could likewise be mapped to mainstream Islamic law. Individuals and organizations named in the Brotherhood’s documents were shown in the government’s investigative files, surveillance photos, audio recordings, and wiretaps to have been aligned with or members of the Muslim Brotherhood. But while the government was identifying many of these people and entities as providing material support to terrorism in a federal court, it was also seeking out those same people as cultural experts, “moderates,” and community outreach partners. As early as 2003, I began putting together briefings that easily outperformed competing explanations for the enemy’s doctrinal motivations. My briefings have always spoken to verifiable and authoritative facts. Others, however, were based on social science modeling and depended on dubious academic constructs—which, of course, were needed to satisfy the overriding requirement that we avoid associating the war we were fighting with the very Islamic concepts that the enemy self identified as the justification and basis for their actions. Before demobilizing from the Joint Staff in 2004, I wrote a forecast of adverse events that would occur because of our refusal to undertake evidentiary threat analysis. Eighteen months later, while standing on a Metro platform in downtown Washington, D.C., I happened to run into the senior civilian in the Joint Staff Intelligence Directorate, retired Marine Corps Colonel David Kiffer. He told me he was impressed by my briefs, particularly by how the presentations accurately frame emerging events to that day. When asked how I could identify emerging threats with such precision, I explained that there is no crystal ball. It’s just that al-Qaeda, the Taliban, the Muslim Brotherhood, and others have knowable threat doctrines. Forecasting is as simple as mapping their stated objectives to the doctrines they follow in conjunction with their known capabilities. At the core of those doctrines, of course, was Islamic law. Can overdependence on “moderates” to explain non-Western motivations and beliefs lead us to (overly) depend on them for the decisions we make? Is there a point where the outsourcing of an understanding of events leads to the outsourcing of the decisionmaking associated with those events? Underlying both questions was my concern that decisions central to the warfighting effort are based solely on the inputs of experts on subjects that the decisionmakers themselves do not understand. When such a practice becomes chronic, actual decisionmaking shifts from those responsible for making decisions to the experts they rely on for information. It is a subversion of both the decisionmaking and the warfighting processes. At the Pentagon, after I had expressed my opinion on these issues directly, I was asked to join the Intelligence Directorate as a full-time consultant. Since then, while I repackaged my presentations and restated them in many ways with greater demonstrated foreseeability, the central issue has remained the same: Senior leaders remain profoundly unaware of the Islamic doctrines that frame the War on Terror. Tragically, not knowing these doctrines kills Americans and undermines our security. By late summer 2006, the presentations I put together were in high demand at the Pentagon and throughout the law enforcement and national security communities. Word spread to the legislative branch as well, and I was soon briefing members of Congress and their staffs. The core presentation—the presentation which mirrored Nidal Hasan’s—came to be called The Red Pill Brief. It earned this nickname thanks to its ability to shift the audience’s understanding of the nature of the threat in the War on Terror in ways that—like the “Red Pill” given to Keanu Reeves’s character in the science-fiction movie The Matrix—enabled them to see the enemy in the War on Terror as it really is. And it gave them an understanding that ensured they would never go back to the false “virtual reality” constructed by outside advisors and enforced by our seniors. At the core of The Red Pill was an evolving analysis of the relationship between the Islamic legal doctrine of abrogation and a Muslim Brotherhood strategic doctrine based on a book called Milestones by Muslim Brother and Islamic thinker Sayyid Qutb. Gradually, the material I covered expanded to include a little-known international organization known (at that time) as the Organization of Islamic Conference, made up of all the self-defined Islamic states, including those claiming to be our coalition allies. Here was an organization that considers itself the arbiter and authority for all Muslims on matters ranging from what constitutes international human rights to defining terrorism. Further, their declarations and programs, like those of al-Qaeda and the Muslim Brotherhood, could be understood by examination through the lens of Islamic law. What I discovered was an organization for whom “human rights” meant Islamic law, and for whom “terrorism” did not necessarily mean the jihadis we were fighting. I also discovered that when the Organization of Islamic Conference echoed Islamic legal pronouncements that called for violence against non-Muslims, typically in regard to statements about Islam, these calls to violence were answered by Days of Rage. During my time at the Pentagon, I explained that there has been a purposeful ratcheting down of analytical standards in this war, to the point where they ceased to meet minimum standards of professionalism. From the beginning, my briefings reflected a preference for factual analysis that maps to evidentiary data; events are explained in plain terms and within the context of the picture that emerges from such analysis. I disfavored a reliance on academic and overwrought intellectual constructs that, while creating the illusion of scientific methodology, only mask what are otherwise incoherent ideations. One need only watch a competent joint staff officer have to defer to an anthropologist or “cultural expert” on mission-critical concerns to understand how this works. Scientism is the Gnosticism of our time. The more popular my briefings became with military officers and special agents directly engaged in the War on Terror, the more senior leadership resisted them. Sensing that these briefings could at some point be banned in the national security space, the Center for Security Policy approached and asked if I would convert my briefings to book form. I agreed. Unfortunately, my concern about a future banning has proven just as legitimate as my other forecasts. Much of the information presented in my briefings, and which is available to readers of this book, is no longer welcome in the Departments of Defense, Justice, and Homeland Security, or within the Intelligence Community. Professional analysts and trainers in counterterrorism, intelligence, and asymmetrical warfare have had their slides edited or censored, their names maligned, and, in some cases, their jobs threatened. Even elected officials, the members of Congress whom I briefed, have been aggressively criticized by the media and by their fellow legislators for discussing issues related to the Muslim Brotherhood and Islamic law. This book is based on briefings that have explained the current situation while forecasting future activity accurately enough to provide warning. Importantly, all of it is based on open source information. While this analysis has consistently outperformed the prevailing paradigm, national security decisionmakers have nonetheless ignored, disfavored, or even prohibited it. Ignorance kills. In war, ignorance brings defeat, especially for those who are sworn to support and defend us. While ignorance is not a crime for the average person, it is for professionals concerning subject matter that is the object of their professions. Why shouldn’t this hold true for national security professionals? For them, one requirement is that they know the enemy by undertaking real threat identification of entities that constitute actual threats to the Constitution and people of the United States. None of this is complicated; it is, in fact, quite simple. The time has come to present this case to the American people. I hope to offer to the reader the same quality of information and analysis that has been presented to national security professionals and which has been studiously ignored. I will provide the necessary citations to Islamic law, both historical and contemporary, from books written in English for Muslim consumers of Islamic law (also called shariah), and will explain the key principles for interpreting these laws, particularly as they relate to non-Muslims and jihad. We will go through, in detail, the Islamic legal concept of abrogation and how it impacts the actions of Muslims who have chosen to wage jihad. We will examine the impact of Islamic scholar and Muslim Brotherhood ideologue Sayyid Qutb, and how his understanding of abrogation led to what I call “The Milestone Process,” which guides the performance of jihad for our enemies in the War on Terror. We will discuss what is called the “Islamic Movement” and how the Muslim Brotherhood, Hamas, al-Qaeda, the Taliban, and other groups oriented on the Milestone Process view themselves as unified by varying degrees against us. We’ll examine the Organization of the Islamic Cooperation and see how their understanding of themselves as a kind of “Proto-Caliphate” may be accurate, even though our decisionmakers don’t even know they exist. With this understanding of the rules and the players achieved, we’ll discuss how each of these groups works in accordance with Islamic law as they understand it, to the great detriment of those who fail to recognize the threat they pose. We’ll examine the postmodern world of American national security policymaking, where fidelity to political correctness, the need for “balance,” and standards that put assumptions and social science theories before facts have left us dangerously exposed. And we will examine how our failure to understand these factors has repeatedly led to tragedy and real loss of life, leaving America vulnerable to those who wish to destroy us. I hope to show that returning to traditional standards of threat analysis—bolstered by common-sense professional standards and grounded in the obligations we have to support and defend the Constitution—will enable us once again to know our enemies and develop methods to defeat them. When traveling in Egypt with Patrick Poole, a colleague in counterterror analysis, in the spring of 2014, we spent a good deal of time with Egyptian Muslims unaffiliated with the government. It became apparent that they shared our view that the Muslim Brotherhood is not a moderate alternative to more radical groups like al-Qaeda, but rather the gateway entity from which these “radical” groups spring and gain momentum. Far from “moderate,” the Brotherhood is most dangerous player in the War on Terror—not least because of its demonstrated ability to penetrate and subvert. This led to probing questions about how the United States, as far back as the Bush administration (in the War on Terror), could have fallen so easily under the sway of the Brotherhood’s counsel. Since America is the world’s only superpower, so their thinking went, there must be some intent, some master plan, behind the administration’s actions, especially in light of the active role it has played since 2010 in toppling Arab governments that had been, up to that point, our allies by adopting new policies that systematically favored the Brotherhood and al-Qaeda. Our Egyptian hosts provided substantive observations to support their concerns and asked us to explain America’s actions. At first, our answers were met with skepticism. Over the following weeks, however, they began to take hold. Not making any claims about average Muslims living in the United States, we nonetheless pointed out that the public face of Islam in America is framed by the Muslim Brotherhood and that, in effect, Islam in America takes the form favored by the Brotherhood. Once the Egyptians realized we were serious, it became increasingly less difficult to convince them that the Muslim Brotherhood in America dominates—whether it’s about who gets to visit the White House, represents Islam in interfaith activities, or provides the Islamic perspective on evening programming. It did not take long for us to agree that, while groups like al-Qaeda or Islamic Jihad may be more violent and more immediately dangerous, groups like the Muslim Brotherhood are far more dangerous in the long term. It is the Brotherhood that manages the ocean in which fish like al-Qaeda swim. In the Arab world, it’s not just the Egyptians who have become aware of this. In November 2014, the UAE Cabinet published a list of terrorist organizations that makes no distinction between groups like ISIS, al-Qaeda, Boko Haram, the Haqqani Network, Lashkar-e-Taiba, and Abu Sayyaf on one hand and the Muslim Brotherhood (including Qaradawi’s Association of Muslim Scholars [IAMS or IUMS]), the Muslim American Society (MAS), and the Council on American Islamic Relations (CAIR) – America’s Hamas presence – on the other. The UAE identified two affiliated entities of the American Muslim Brotherhood, but the Explanatory Memorandum: On the General Strategic Goal for the Group, written by Mohamed Akram in 1991, also lists other American affiliates, such as the Muslim Student Association (MSA), Islamic Society of North America (ISNA), the North American Islamic Trust (NAIT), and the International Institute of Islamic Thought (IIIT). The Muslim Public Affairs Council (MPAC) is also included because prominent Muslim Brotherhood leaders formed it out of the Islamic Center of Southern California and because it closely associates with Brotherhood organizations like ISNA and CAIR in public forums. Domestically and internationally, two camps exist in the War on Terror: one believes that the Muslim Brotherhood is the “moderate” alternative to “extremist” groups like al-Qaeda and that the Free Syrian Army really is an alternative to Jabhat al Nusra or ISIS. The other believes that the Brotherhood is the most dangerous of the groups because of its seductive claims of moderation. One side is surprised every time the war material and training we provide to our “moderate” friends end up in the service of “extremists,” while the other side is surprised only at how often the first is surprised by what has become so predictable. America cast its lot with the “moderate” paradigm, and the Brotherhood made sure to fill that space. America has yet to recover from that decision, even as Arab states are criminalizing the Brotherhood and casting them out of their countries. It’s inconceivable that the thinking that we hold most sacred should cause the entire umma [Islamic world] to be a source of anxiety, danger, killing and destruction for the rest of the world. Impossible! … That thinking — I am not saying “re- ligion” but “thinking” — that corpus of texts and ideas that we have sacralized over the years, to the point that departing from them has become almost impossible, is antagonizing the entire world. It’s antagonizing the entire world! Is it possible that 1.6 billion people (Muslims worldwide) should want to kill the rest of the world’s population — that is, 7 billion people — so that they themselves may live? Impossible. I am saying these words here at Al Azhar, before this assembly of scholars and ulema — Allah Almighty be witness to your truth on Judgment Day concerning that which I’m talking about now. … You, imams, are responsible before Allah. The entire world, I say it again, the entire world is waiting for your next move … because this umma is being torn, it is being destroyed, it is being lost — and it is being lost by our own hands. … and calls for “religious revolution” to change it. Correctly interpreted or not, Sisi recognizes that shariah is the heart of the issue; that jihadi-based terror is the consequence of that “sacralized corpus of texts,” not the drivers of it. There are compelling reasons to think President Sisi is serious about taking on this issue at a time when the Arab Muslim world may be turning in that direction. As the book will explain, when claims of apostasy and kufr are directed against a person, that person’s right to live is being seriously challenged. Yet it seems that our national leaders have chosen to back the likes of the Brotherhood, Morsi, and Qawi. Both friend and foe in the Arab world know who advises our senior leaders on terrorism. Mohamed Elibiary, former senior Homeland Security Advisor and member of the Department of Homeland Security’s Security Council, was unconcerned by the UAE designations. Elibiary, who is also founder and president of the Freedom and Justice Foundation and Committee Chairman and Board Member of the Dallas-Fort Worth chapter of CAIR, immediately condemned the designation of CAIR and MAS as terrorist organizations and assured his Twitter followers, based on his inside knowledge, that the United States counterterror community would ignore the UAE action. Given the current political climate, Elibiary may be right, which further proves the need to expose the threat posed by the Muslim Brotherhood. While the threat is more apparent in countries like Egypt, the Brother- hood is a threat to America, as well. On this we agreed, complete with com- mon reference points and a shared site picture. As part of his medical rounds at Walter Reed National Medical Center, Army psychiatrist MAJ Nidal Malik Hasan wanted to do his colleagues a service. Using PowerPoint slides and handouts, Hasan expounded on the concepts of murder, jihad, and justice in Islamic law, focusing especially on the doctrine of abrogation (see discussion in Part II, “The Red Pill”). In his presentation, “The Koranic Worldview as it Relates to Muslims in the US Military,” which he delivered multiple times, Hasan declared his hostility to his fellow officers, announced his status as a jihadi, and stated the reasons and conditions for why he would soon commit multiple homicides. Like nearly everyone else in America, I watched news of the carnage on television. It was an outrage. A few days later, I started receiving phone calls from FBI agents. The Washington Post had published the complete series of slides from Hasan’s presentations, and it was making its way through the rest of the media. The agents had just seen the slides; their voices were full of disbelief as several of them asked me the same questions. Of course, I had never met Hasan. The slides on terrorism they were referring to were from briefings I had created years earlier for use in the Department of Defense, the FBI, and other government agencies. Well before Hasan’s Fort Hood attack in 2009, I was giving briefings at the Pentagon on the underlying rationale that orients some Muslims to jihad, defined by some as holy war. That rationale was based on the nexus between the Islamic concept of abrogation and the Islamic legal basis for jihad, which will be discussed in depth later in the book. Hasan had never attended any of my presentations on abrogation or jihad. Yet with uncommon specificity, my briefings mapped with the briefing given by Nidal Hasan. It was possible because neither MAJ Hasan nor I was merely giving a personal opinion on what the Qur’an says about abrogation and Islamic legal obligations to engage in jihad. I was not providing mere conjecture about what may motivate adherents; my presentations anticipated Hasan’s because they were based on the same sources—a clear reading of the same Islamic law—rather than relying on sociological or other soft-science explanations. In other words, my briefings on abrogation and jihad for the Department of Defense provided actual indicators and warning of a real threat to the leaders that needed it most. Tragically, those warnings went unheeded. They still are. In October 2011, elements of the American Muslim Brotherhood wrote the White House demanding an embargo or discontinuation of information and materials relating to Islamic-based terrorism—even insisting on firings, “re-training,” and “purges” of officers, analysts, special agents, and decision-makers who created or made such materials available. Talks between the administration and the Brotherhood took place at high levels, with the Director of the FBI going so far as to meet with the Brotherhood in February 2012 against the expressed directives of Congress. More alarming, however, is that the FBI then proceeded to undertake the very purging of documents that the Brotherhood had demanded. Not only did the Secretary of State endorse such curbs on speech, the Assistant Attorney General seemed eager to enforce them. 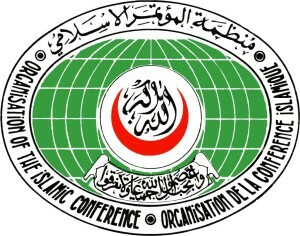 As with the Muslim Brotherhood, the Organization of Islamic Cooperation (OIC)—and, through it, our Middle Eastern allies—also seek to embargo all unsanctioned discussions of Islam as a matter of international law. Though such a law would constitute a serious assault on the First Amendment, our Secretary of State met with the General Secretary of the OIC in July 2011 and personally committed the State Department’s best efforts to secure the passage of a law restricting such speech; she even agreed to intimidate American citizens through “peer pressure and shaming” should they choose to exercise their First Amendment rights of free speech to express repeatable relevant facts. When asked by the Chairman of the House Subcommittee on the Constitution to affirm that the administration would “never entertain or advance a proposal that criminalizes speech against any religion,” the Assistant Attorney General, Tom Perez, refused to answer. Shouldn’t this be cause for concern? All these issues left unaddressed in the introduction will be explained in the body of the book, which will shed much-needed light on what I believe is the most serious threat of our time. How bad can it get? The very information that senior leaders sought to purge from analysis and censor from discussion is the same information that has repeatedly provided indicators and warning of threat activity when presented in national security forums. Is it a “core value” to deride fellow Americans when speaking in uniform and representing the United States on foreign broadcasts known to be close to the Muslim Brotherhood? Isn’t commitment to the truth as demonstrated by factual analysis supposed to be a “core value”? What of sensitivity to constitutional concepts like “free speech” and “due process”? Those in the national security establishment who had their work products purged—including briefings, counterterror analysis, threat assessments, and special agent reports— were given no notice, no opportunity, and no due process to defend themselves against unnamed censors. The FBI used these censors to make the determination, shielded them from public disclosure, and were then held entirely unaccountable for the decisions they made and the manner in which they made them. The suppressed were not even given the Fourth Amendment right to confront their accusers. Don’t use training that equates radical thought, religious expression, freedom to protest, or other constitutionally protected activity, with criminal activity. One can have radical thoughts/ideas, including disliking the U.S. government, without being violent; for example, trainers who equate the desire for Shari’a law with criminal activity violate basic tenets of the First Amendment. With Captain Kirby’s use of talking points such as “core values” and “warped” comes the sad realization that one must be on guard for the Alinskyist repurposing of valued terms and phrases to a different purpose. But just whose strategy is it, and who benefits from it? When one speaks of the Putin government and later refers to it as “the Russians,” or speaks of the Conservative government in the U.K. and then later refers to “the English,” or speaks of the Vatican and then later refers to “Catholics,” no one challenges this convention by saying, “You’re painting with too broad a brush. You can’t speak about all Russians when you mean Putin (or the Conservatives or Catholics). You’re engaging in generalities, stereotypes, and over-simplifications.” Yet when one speaks about organizations like the Muslim Brotherhood or al-Qaeda and then later refers back to them as Muslims, it is often used as a semantic opening to make non-substantive challenges. When analyzing terrorism undertaken by individuals and groups claiming to be Muslim and claiming to be acting according to Islamic doctrines, it is necessary to identify both the individuals and the motivations in order to develop a coherent threat analysis. Early in such an assessment, it doesn’t matter whether the terrorists’ “version” of Islam is in some higher sense true. What matters is that it is the “version” they accept when choosing to engage in acts of terrorism. Threat assessments that fail to account for such expressed motivations are defective. This book limits the discussion of Islam to the elements needed to analyze the threat motivations of those claiming it as the basis for their actions. In this book, Islam is assessed in the context of its use by the individuals and organizations under discussion. In most instances, such usage is limited to the organizations identified above or included in the more extensive lists provided by the UAE Cabinet and Akram’s Explanatory Memorandum. This book was written with conflicting expectations. On the one hand, I hope people will read it, do some fact-checking, hold their elected officials and national security leaders responsible, and demand an accounting. But there is also the sobering thought that, like some Old Testament prophets, I may have to be content with knowing that I provided valid indicators and warning of the disastrous path we are on; that at some future date, when people look back to figure out what went wrong, they will realize that warning of catastrophic failure was timely and accurately provided—and ignored. Sometimes things must break before they can be put back together. The problem is that when things fall apart, there is no guarantee that they can be put back together. Unconstrained Analytics is a 501(c)3 dedicated to raising awareness through analysis and briefings of what constitutes a threat based on being able to analyze the evidence unconstrained by preconceptions or biases.